Valentine’s Day is a time when significant others get together to celebrate the love they have for one another. After the Christmas holiday gift exchange, a person may not know what to get his or her sweetheart. You can do the cliche thing and get flowers, but it is nicer to get something very personal with great intent. This is where a plastic surgery procedure can make the perfect gift. The plastic surgery gift can be for something small such as a lip injection to create fuller lips, or Botox to remove those unwanted wrinkles. A gift certificate can also be purchased for something bigger, such as facial makeover. “I find that husbands really like to make their wives feel special on Valentine’s day and the gift of plastic surgery is a great way to do that,” says Dr. Tim Jones, a facial plastic surgery specialist in Oklahoma City. While some men may be hesitate to give there wife a gift that indicates a change in aesthetics, the overwhelming majority would be thrilled with the idea. Most couples that communicate well have usually spoken about it at some point in the past. Valentine’s Day is a great time to bring it up again in a gentle fashion. If she has expressed interest in the past, she should be really excited about the prospect of a little enhancing. If there has been no discussion in the past, then the topic of plastic surgery can always be brought up by talking about a celebrity to judge your significant other’s reaction. If he or she seems open to plastic surgery, then the door is open to a nice gift. 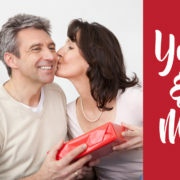 If a cosmetic procedure seems like a nice surprise, then a gift certificate might be the perfect gift — packaged in a beautiful heart shaped box of candy. 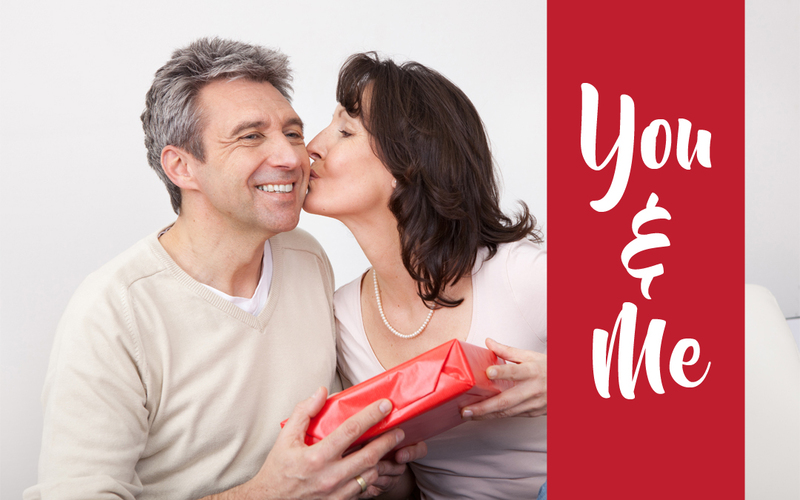 The recipient will still need to have a consultation with Dr. Jones to determine candidacy, but we have an array of options to make sure your gift is absolute perfection! Happy V-Day lovebirds! Pamper your face at bedtime. Your body repairs itself while you’re asleep and the skin is no exception. Use skin cleansers that thoroughly remove dirt, make-up, and excess oils. Such cleansing routines should be complemented with a moisturizer that contains retinol, an antioxidant known to interrupt the release of free radicals and prevent the appearance of the premature signs of aging. Assume a wrinkle-free position while you’re asleep. Many tend to favor one side when sleeping and are not aware that it can cause sleep lines, similar to laugh lines, smoker’s lines, and squint lines. Lying in the same position for decades can lead to the appearance of creases and folds on just one side of the face. Sleeping on your back avoids this problem and is also a good way to prevent the build-up of fluids in the lower eyelids, which leads to puffiness. Get enough sleep. So how much is enough? It depends. Certain variables may be taken into consideration such as your age, level of activity, and general health. By and large, adults need at least seven to nine hours of sleep for them to feel fully recharged the next day. A recent study even found out that individuals who have fewer hours of sleep have more obvious signs of physical aging — fine lines, reduced skin elasticity, and uneven skin tone — than good quality sleepers. There is no stopping the soaring popularity of Botox! Although the majority of our patients who get regular Botox injections are middle age, we have noticed a surprising increase in the number of younger clients asking about Botox for preventive reasons. 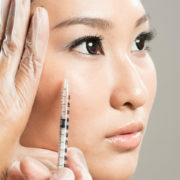 Is there such thing as too young to have Botox? Will Botox stop wrinkles from appearing in your 30s once you have them in your 20s? There is no doubt that Botox really works in reducing the appearance of furrows between the brows and the wrinkles in the outermost corners of your eyes. 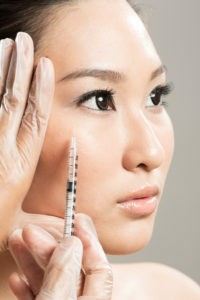 Individuals who are using Botox for preventive reasons say that using the injectable to avoid wrinkles and creases altogether is actually possible if you have the injections during your 20s. Such wrinkle prevention is possible. However, it should be noted that the results of Botox are only temporary and need to be repeated to continue to get results. Additionally, you need to complement your Botox injections during your 20s with regular use of sunscreen and moisturizers. Ultimately, whether or not you should use Botox in your 20s will be determined after a personal assessment and evaluation by Dr. Jones. Call us at 405.418.5400to schedule a personal consultation with Dr. Jones today. Staring back at the spider-like lines on the outermost corners of your eyes every time you look at the mirror is not a pleasant experience. 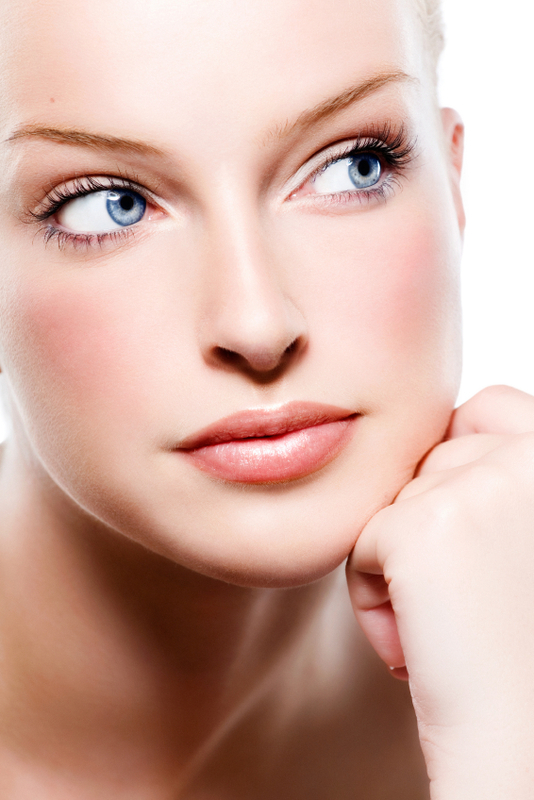 The appearance of crow’s feet, also known as squint lines, may even extend down onto the cheekbones. In some cases, they can even further stretch below the lower eyelids, making you look perpetually tired. Fortunately, you can do something about crow’s feet through Botox injections! Before delving into how Botox can help reduce the appearance of crow’s feet, let’s take a closer look first at why crow’s feet happen in the first place. Although advancing age may be an obvious answer, there are actually other factors that contribute to their appearance. First, the skin around the eyes is thinner than other areas of the face. The thinner the skin, the more it is likely to develop wrinkles. Second, frequent sun exposure of the area will also lead to crow’s feet. As the most popular injectable, Botox is the most effective facial rejuvenation option to reduce the appearance of crow’s feet. Botox works by blocking the release of the chemical acetylcholine, which triggers muscle contraction. Facial wrinkles such as crow’s feet are generally caused by repeated muscle contractions when making an expression (squinting, in the case of crow’s feet). Unfortunately, the popularity of Botox has led to fraudulent Botox providers entering the game. Because of this, choosing a reliable and trusted Botox provider is a crucial component to achieving natural-looking results with Botox. If you live in Leominster and neighboring areas and would love to learn more about Botox, we invite you to get in touch with us by calling 405.418.5400to schedule an appointment. We look forward to helping you look and feel your best! Your Frown Lines May Be Sending the Wrong Signals! It looks like the appearance of wrinkles do more than just make you look older. In 2012, a study whose results were published in the Journal of Experimental Social Psychology revealed that the presence of facial lines, creases and wrinkles can also get in the way of how people perceived your emotions. By and large, the researchers of the study instructed 65 college-aged volunteers to rate the photographs of 3 women who were between 19 and 21 years old and another batch of 3 women who were between 76 and 93 years old. Earlier in the study, the researchers also instructed the women to convey basic facial expressions such as happiness, sadness, anger, and being neutral. The researchers found out that it was easier for the young volunteers to correctly identify the facial expressions of the 3 women who were between 19 and 21 years old. On the other hand, majority of the volunteers had a hard time judging the emotions of the older women in the photographs. Before you make an appointment for a face lift consultation here at our Edmond facial cosmetic surgery practice, you might want to reconsider your options. Many people assume that a face lift will correct all kinds of facial aging concerns such as the appearance of frown lines. However, a face lift procedure is actually ideal in addressing aging in the middle and lower third of the face such as sunken cheeks and a sagging jawline. Brow Lift – A brow lift will benefit men and women with sagging brows and upper eyelids. 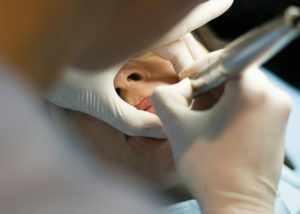 In this procedure, worry lines and creases will be also significantly reduced. Upper Eyelid Surgery – Sagging skin and excess fat around the upper eyelids can be improved with an upper eyelid surgery. Apart from its cosmetic purpose, the procedure can also help improve obscured vision resulting from too much puffiness in the upper eyelid area. Non surgical treatments such as Botox, fillers and laser treatments can also be done alone or in conjunction with the aforementioned surgical procedures, depending on the severity of the wrinkles and excess, loose skin in the upper third of the face. During your initial consultation with Dr. Jones, a through discussion and assessment of your cosmetic goals and aesthetic preferences will take place. Moreover, a physical assessment will follow, particularly in the anatomical structure of your eye and face such as bone structure, skin tone and texture, and muscle dynamics. Get in touch with us today by calling 405.418.5400or by filling out this contact form to schedule an appointment. We look forward to your visit!